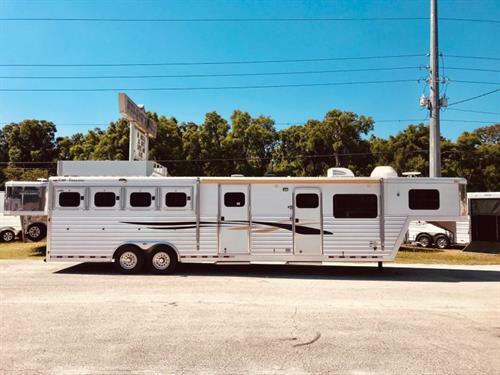 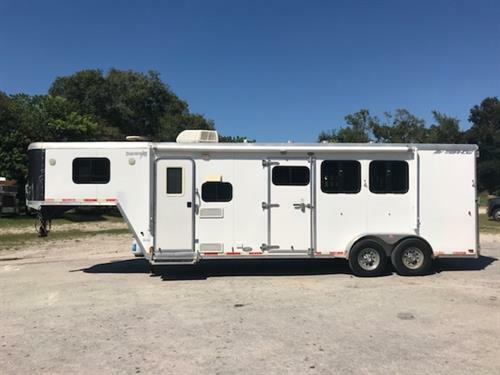 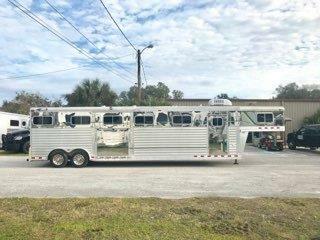 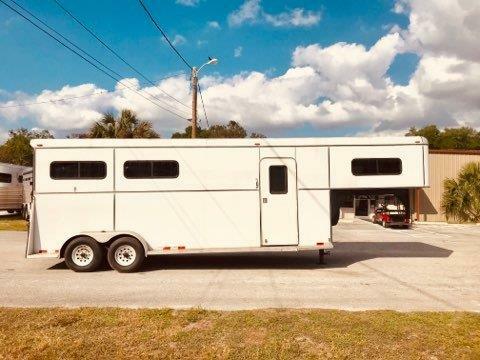 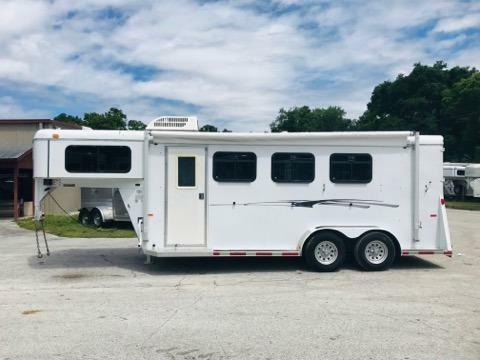 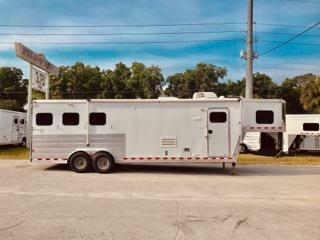 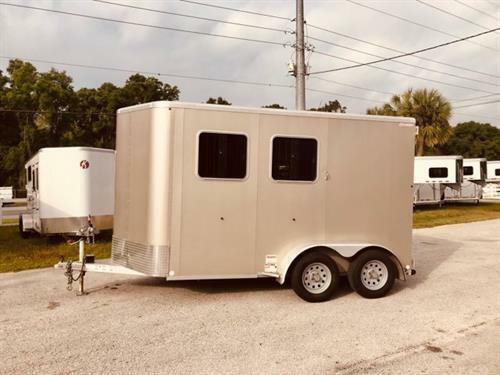 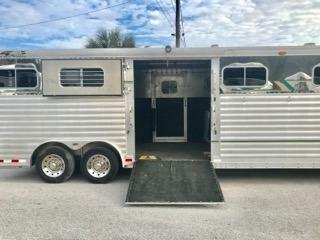 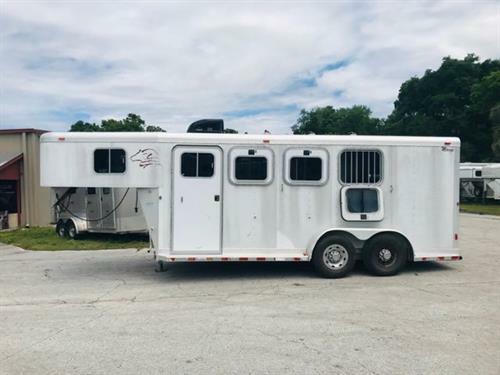 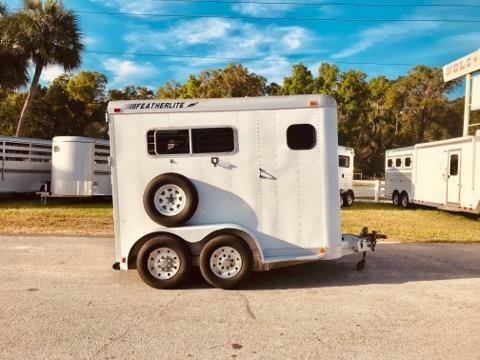 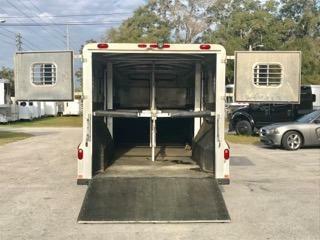 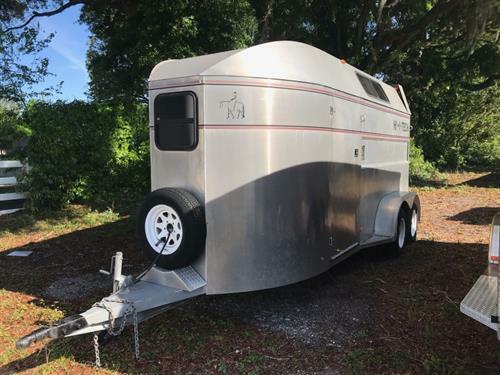 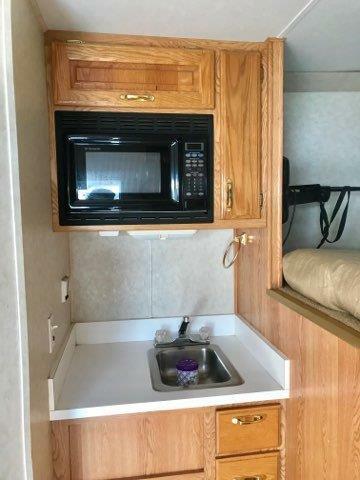 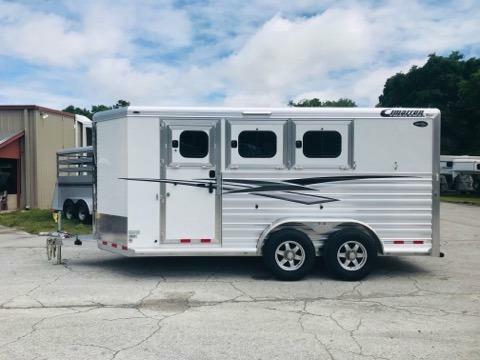 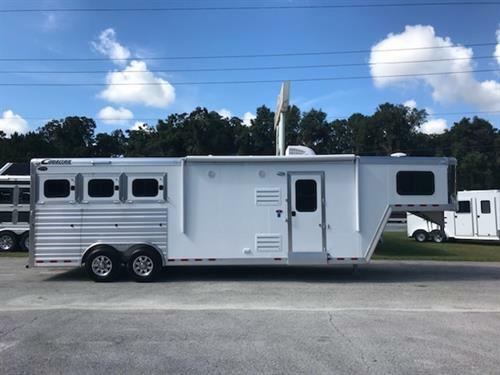 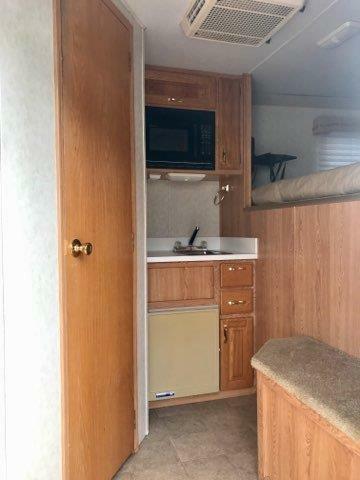 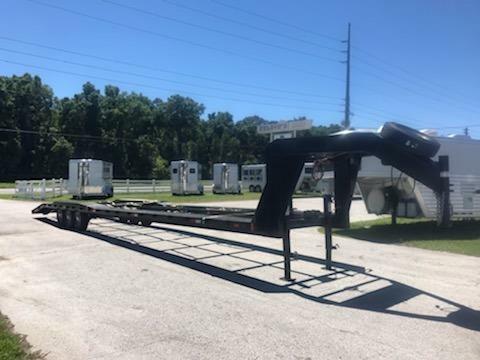 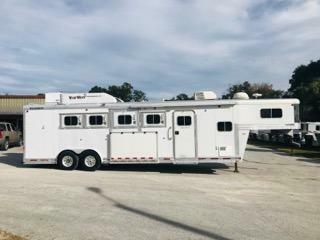 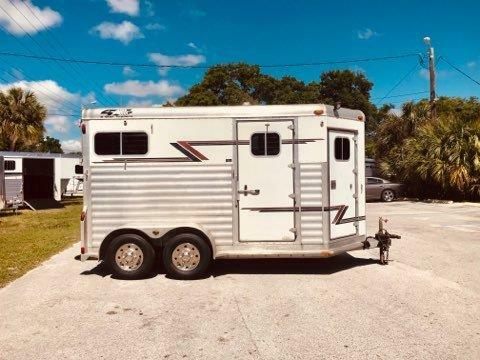 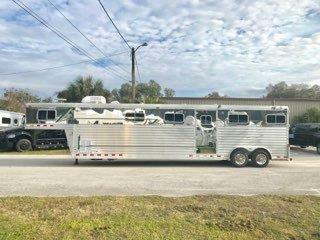 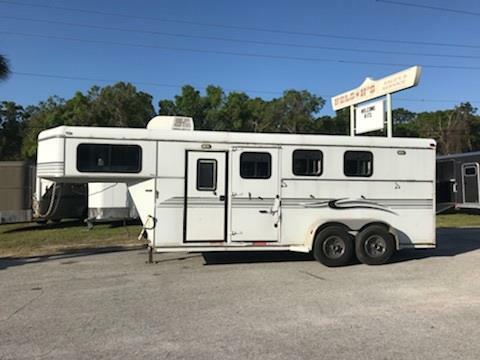 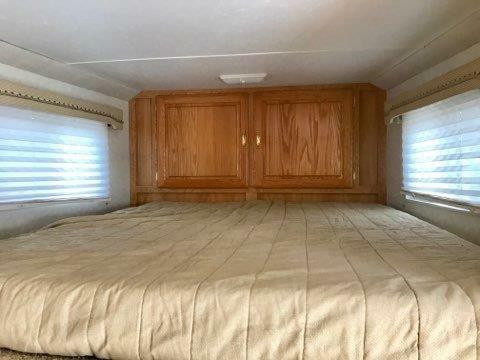 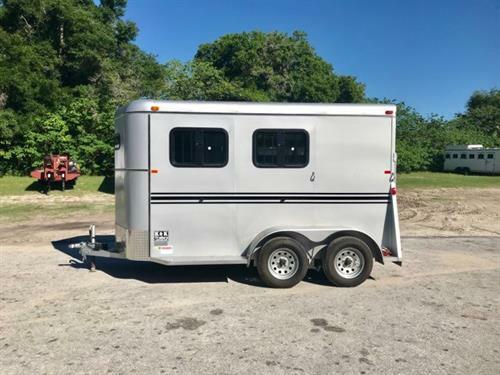 2003 4star Deluxe (5) horse head to head trailer with a living quarter that has a 4’ Showtime Conversion that has an A/C unit, microwave, 3cu fridge & freezer, cabinets, large closets and a bathroom. 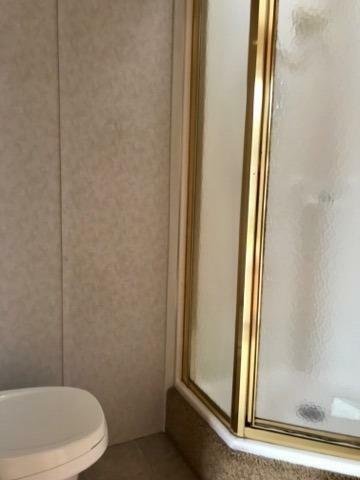 In the bathroom you have a toilet, shower and a linen closet. 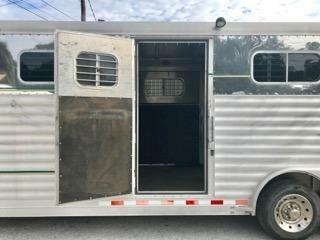 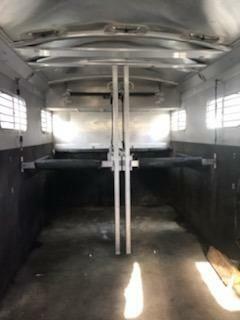 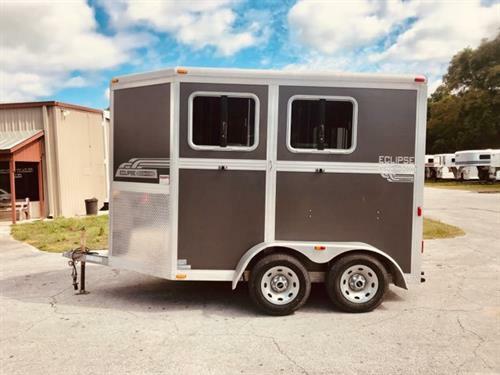 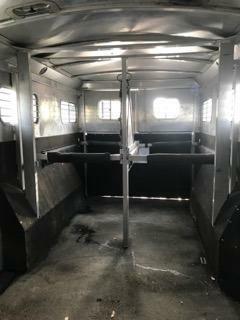 The horse area has an interior height at 8’ tall x 8 wide, escape door, roof vents, removable dividers, makes up to (5) horses or (4) horses, side ramp with dutch doors, WERM FLOORING and a rear ramp with dutch doors! 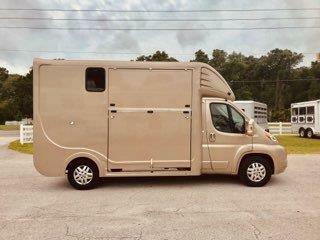 The exterior has a hydraulic jack and spare tire. 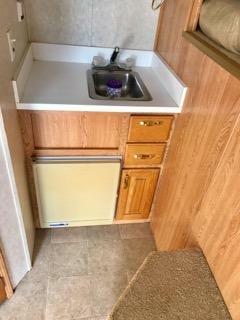 Very clean and a rare find!